There has been a recent judgement in the matter of Daniel and others and several solicitors acting as professional trustees. The trustees had invested much of a Will Trust in technology, IT and telecom sector equities at the time of the stock market bubble and then the c rash of the ‘dot.com’ bubble and burst in the early 2000’s. Whilst t he High Court ruled in favour of the defending solicitors in that they had not acted in an unreasonable and negligent fashion, the case is useful in a number of ways. It reminds trustees that they have a duty of care and that it is a significant one. There is a duty of care in choosing financial advisers and there is a duty of care t o formulate and implement a suitable investment strategy and to review investments. The case is interesting in that it was the defendants’ case that if they were in breach of any of their obligations of trustees, then any such breach of trust must be proved by the beneficiaries to have led to an actionable loss to the beneficiaries of the trust. It was the defendants’ case that if the claimants failed on that point, given that the defendants contended that they acted honestly and reasonably that the Court ought to excuse them from the technical breach of trust and relieve them of personal liability for that breach. If the professional trustees can be criticised for falling below appropriate standards, whilst that would call into question their competence and whether they complied with their duty of care, it is not sufficient to establish liability unless any breach of duty resulted in investment choices which were imprudent and then only to the extent of the difference between the financial outcome which those choices gave rise t o and the financial outcome which would likely to have resulted from prudent investment choices. An example would be if trustees decided on an inappropriate investment strategy but either did not implement that strategy or when it was implemented it resulted in investments being made which were no more disadvantageous to beneficiaries than those which would have been made in accordance with an appropriate investment strategy, then the investment decision will not have occasioned any loss. Whilst the case harps back to the volatile stock market associated with dot.com bubble and burst it is perhaps a timely reminder should we have future investment volatility for both trustees and beneficiaries of a deceased person’s estate and other trusts to bear in mind. 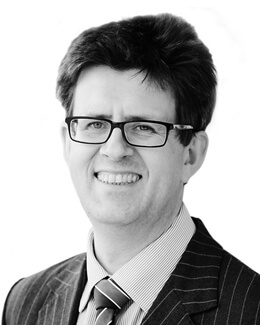 If you are looking for private client law advice, contact Edward Walter on ewalter@bussmurton.co.uk or 01892 502 320.